Designed largely by the wealthy investor Abbot Kinney, Venice Beach was intended to be an elaborate re-creation of Venice, Italy, in the USA. Although most of the original canals from the early 1900s don’t survive, this area of Los Angeles remains one of the most famous beaches in California. You just can’t help but get swept away in the bohemian vibe of this incredibly diverse district. If you’re thinking about visiting Venice Beach in the near future, then you must take a look at this list. Below, we’ll go over the best things to do in Venice Beach and explain how to get here. People-watching is even more important than sunbathing on Venice Beach. As you stroll down the boardwalk, you’ll soon see a cast of characters that are…”unique” (to say the least). You’ll find all kinds of people strolling these streets ranging from hipsters to hunky muscle men. Indeed, there are so many hulks around Venice Beach that local authorities have set up an outdoor gym called Muscle Beach. If you’re visiting during the summertime, you might see a bodybuilding contest on Muscle Beach. No matter what time of year you’re visiting, however, you’re bound to see a few street performers showing off as you walk around. If you feel the urge, you could easily rent a bike and ride along the beach. 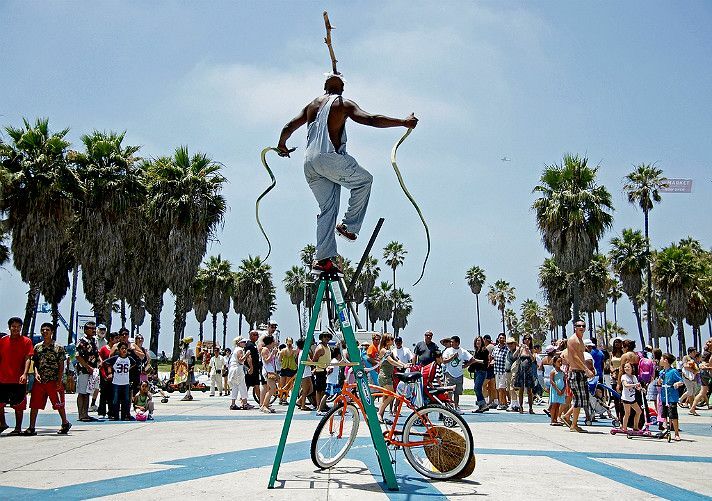 Without a doubt, people-watching is a must for things to do in Venice Beach list. As mentioned above, most of Venice Beach’s original canals aren’t around anymore. However, there are a few surviving canal streets every visitor should check out. The most famous surviving canals are between Washington Boulevard and Venice Boulevard. In addition to the canals themselves, take a few moments to admire the wide-array of architectural styles in this area. A visit to the original canals is a must for anyone’s things to do in Venice Beach itinerary. Venice Beach is well-known for its wide array of eclectic artisan shops. You’ll find the best shopping opportunities on Venice Beach at the Abbot Kinney Boulevard. This mile-long strip boasts some of the hottest independent fashion shops and art studios in LA. In addition to shops, Abbot Kinney Boulevard also has plenty of interesting restaurants such as Abbot’s Pizza Company, Fala Bar, and Hal’s Bar and Grill. Venice Beach hosts many special events throughout the year. The famous Abbot Kinney Festival takes place every September and features family-friendly entertainment, food trucks, and amusement rides. Definitely plan on spending a few hours checking out all that Abbot Kinney Blvd. has to offer. You should have no trouble finding plenty of food trucks, food stands, and restaurants as you explore Venice Beach. A few popular budget eats with tourists include Larry’s, Poke-Poke, The Firehouse, and Danny’s Venice Deli. 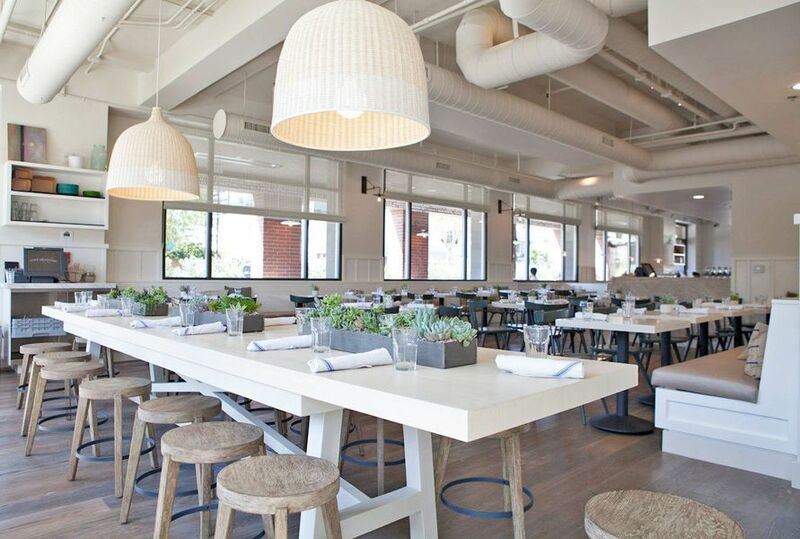 Some other restaurants with a bit of a higher price tag include Café Gratitude, Gjelina, and the High Rooftop Lounge (where you can take in magnificent views of the Venice Beach sunset). There are also many highly reviewed tea houses, bakeries, and cafés dotted throughout Venice Beach. You really should schedule plenty of time on your things to do in Venice Beach list for exploring the local cuisine. Are there any fishermen out there? If so, then grab your fishing gear and head for the Venice Beach Pier. 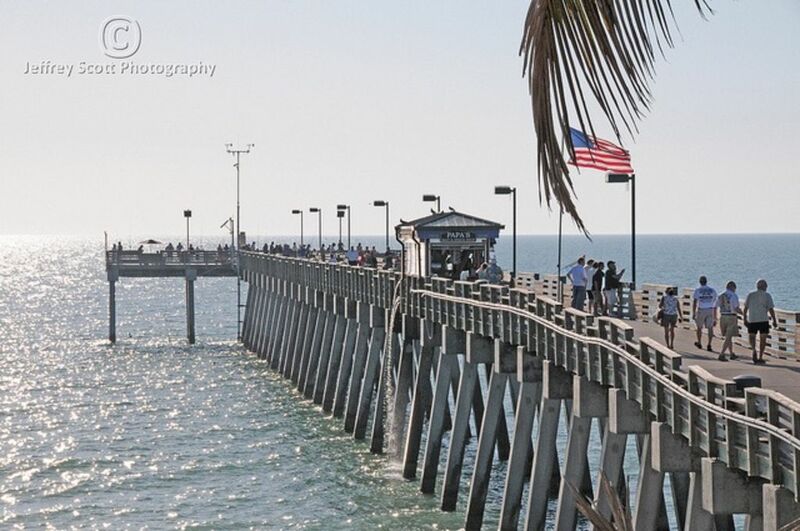 Located at the end of Washington Avenue, the Venice Pier is in a prime location for superb fishing. Don’t worry if you’ve forgotten your reels and rods at home, Papa’s Bait Shot has got you covered with all the equipment and frozen bait you’ll need for a successful fishing venture. Venice Beach authorities allow people with and without fishing licenses to legally cast their rod off the Venice Pier. But you don’t have to be a fisherman to enjoy a tour of the pier area. The Venice Pier has plenty of picnic stands as well as two sand volleyball courts to play in. There are also numerous cafés and restaurants nearby where visitors can relax, have a drink, and take in the incredible sunset by the pier. One great way to get into the Christmas spirit is to schedule your vacation to Venice Beach during the Venice Canal Holiday Boat Parade. 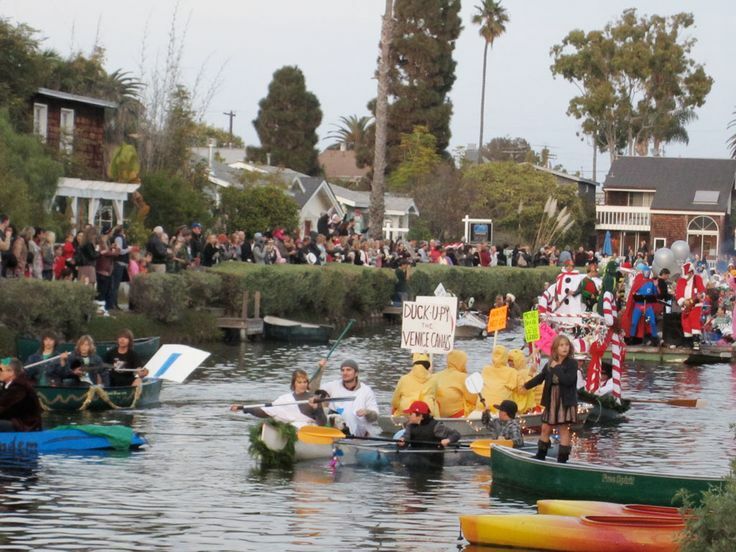 This annual event usually takes place on the second Sunday of December and features dozens of homemade non-motorized boats that have something to do with a holiday theme. All of the boats in the festival compete for the “best in show,” so you can expect some extravagant light displays designed to impress the fickle judges. Watching this festival is one of the best things to do in Venice Beach if you’re visiting during the month of December. It’s actually quite easy to get into Venice Beach so long as you fly into Los Angeles International Airport (LAX). Since LAX is such a major airport in California, most people around the world shouldn’t have a problem booking a flight into this airport. Depending on traffic, it will take you around 30 minutes to drive from LAX to Venice Beach. Start your journey on Lincoln Boulevard headed north. After about five miles, take Abbot Kinney Boulevard to Dudley Avenue. It’s literally that simple. There’s no place on earth quite like Venice Beach. You’ll have great difficulty finding people as unique as the ones you’ll see walking around this beach and boardwalk. Besides people-watching, however, there are plenty of things to do in Venice Beach for families, couples, and, of course, foodies. Whether you’re into festivals, artisan shopping, cuisine, or fishing, you’re sure to find something to fall in love with on this one-of-a-kind beach. So, whenever you find yourself in Los Angeles in the future, be sure to plan a short excursion to Venice Beach.